The RIDGID model A1 expander is designed specifically for large size annealed copper tubing for 1 1/4” – 4” OD. The body of expander is cast and machined aluminium. The expander jaws are machined and heat treated aluminium alloy. The unit is screw operated and can be used either by hand or when circumstances require, in a machinist vice. 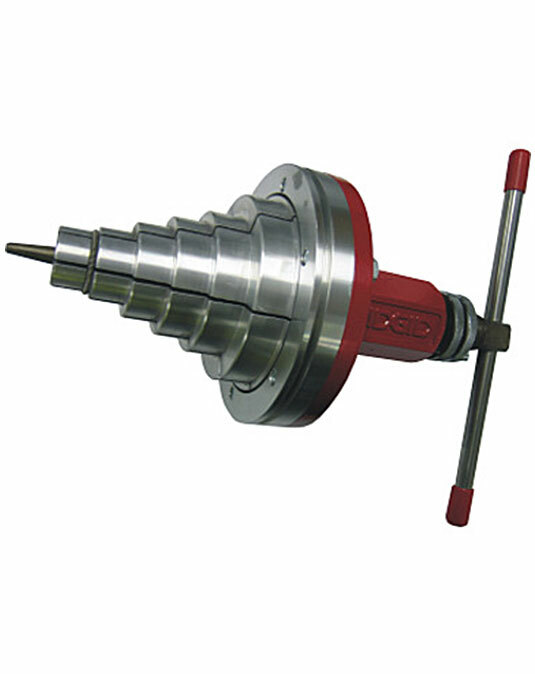 Easy action of the expander jaws is facilitated by a friction free ball bearing between the screw and the taper pin with a precision collar allowing fine adjustment and pre-setting of desired tube diameters. The A1 expander weighs 3.6kgs making it convenient to handle even under adverse conditions.